At least seven people were reported killed in the robbery attack carried out by an eleven-man gang. 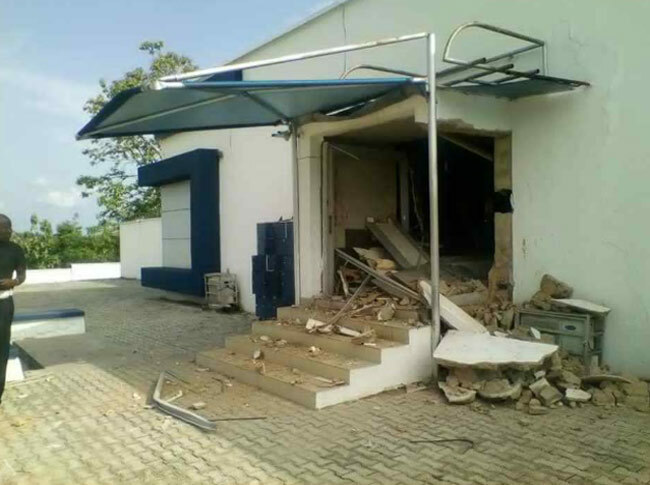 The robbers hit a branch of First Bank in Idoani, Ose Local Government Area of Ondo State. The robbers were reported to have stormed the town in the afternoon of Monday, shooting sporadically. They broke the bank’s security doors with an explosive device. According to an eyewitness account, the robbers escaped through the bush in the area with an unspecified amount of money stolen from the bank. The Ondo State Police Command’s Public Relations Officer, Mr Femi Joseph, confirmed the incident. He said that one suspect has been apprehended in connection with the robbery attack and investigations are ongoing to fish out the fleeing members.